“De Palma” is getting its Madison premiere at 7 p.m. Friday at the UW-Cinematheque, 4070 Vilas Hall, followed by a 35mm screening of De Palma’s first big hit, “Carrie.” Both screenings are free, and part of a retrospective the Cinematheque is doing of De Palma’s work this fall. 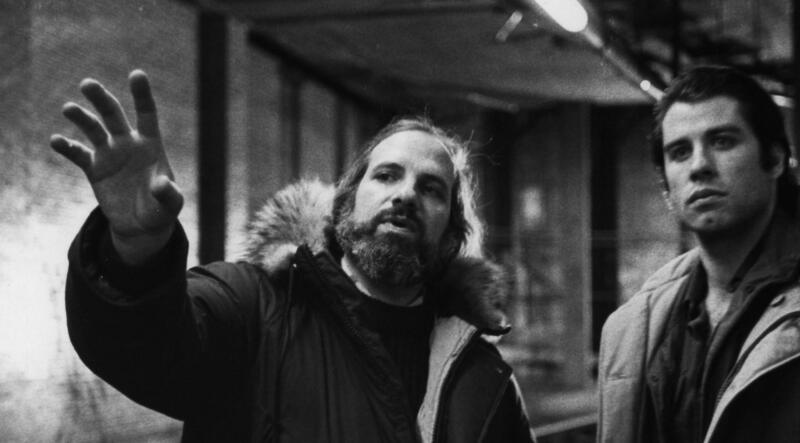 De Palma is funny and extremely candid about his experiences, talking about how he had to have Oliver Stone taken off the set of “Scarface,” how intimidated he was by composer Bernard Herrmann on “Carrie,” how Sean Penn would mess with Michael J. Fox on the set of “Casualties of War,” at one point whispering “television actor” in his ear during a take. And then there were the battles with studio heads and ratings boards over the lurid content of some of his films; at some point, the phrase “And then they saw it!” is employed in most stories. There are some biographical details that hinted at the motivations and obsessions that drive De Palma’s films; while talking about “Dressed to Kill,” he mentions offhandedly that he once tracked his father to his mistress’ house, broke a window and confronted them both with a knife. De Palma’s career In Hollywood ping-ponged up and down, and finally, worked on the massive 1999 sci-fi film “Mission to Mars,” he decided he just wasn’t having any fun anymore and decamped to Paris. His last film was 2012’s “Passion,” which I dismissed at the time as a DePalma knockoff that happened to be made by De Palma. But the insights in “De Palma” will send me back to “Passion,” and all his movies, with a new set of eyes and ears. DePalma repeating himself is better than most filmmakers saying something for the first time.